STEAM Studio Becomes an Official Lab School! | whitespace. WOW! STEAM Studio is now the official Lab School for Rockhurst University’s Department of Education! We’re so grateful for their support and partnership – such an awesome team to be aligned with. For STEAM Studio, we are thrilled to be able to offer the aspiring teachers in Rockhurst’s Department of Education an opportunity for rich practicum experiences. Additional benefits include offering more accessibility to serve more central city kids, and to give these kids exposure to more professionals across multiple disciplines on the Rockhurst campus. The students in STEAM Studio will now be able to interact with college students and faculty in business, engineering, the sciences, the arts, and technology, creating more opportunities for the intersection of thoughts leading to new ideas. Through our work in the Westport location, we’ve seen the incredible benefit of having students learn in an environment filled with professionals. The role modeling that the architects at Gould Evans have offered has proved invaluable to many of our students – they see our associates applying design thinking just as they’re doing, and they come to recognize that even as professionals, the process of creativity is often challenging and fraught with frustration and failure. This realization helps them see these professions as more approachable, and less intimidating. Many have switched their career aspirations right on the spot! STEAM Studio students presented storyboards depicting their “dream room” to Gould Evans designers for feedback and critiques (Image credit: Gould Evans). These kind of partnerships offer so much value at so many levels. 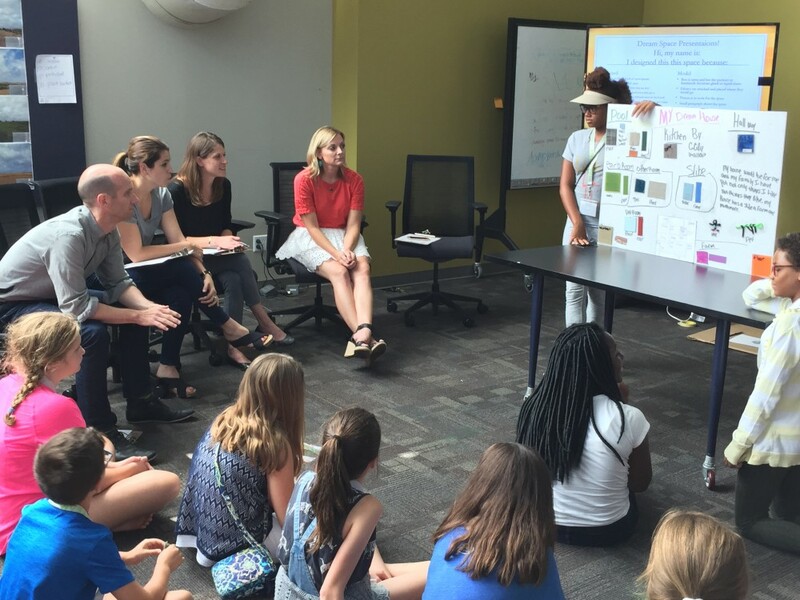 Rockhurst University is also excited about the prospects that the STEAM Studio Pop-Up space will offer to their service learning opportunities and their engagement with the community. As a catalytic property owner on the Troost Avenue Corridor, they know the value of committing yourself to improve the community, one relationship at a time. 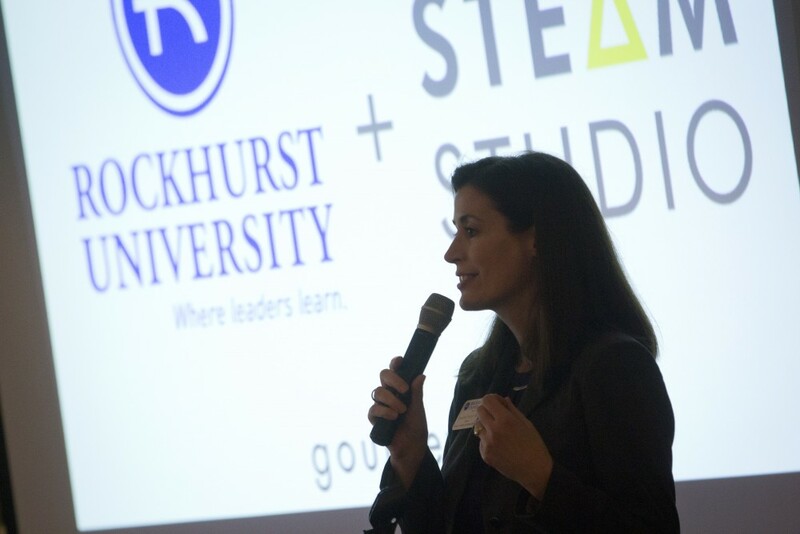 Jennifer Friend, Dean of the College of Health & Human Services speaks on the exciting new partnership at the STEAM Studio annual luncheon in May of 2018 (Image credit: Tim Linn, Rockhurst University). Cheers to an amazing partnership!